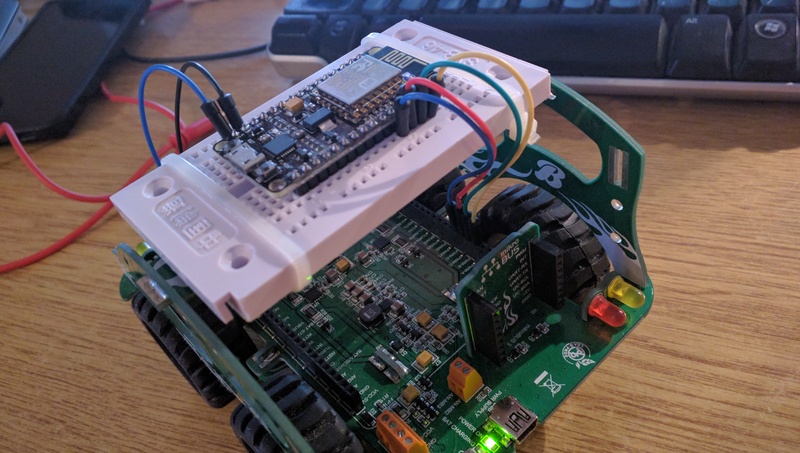 ESP8266 web server - driver for MikroE Buggy. Web server provides simple HTML5 canvas as driving joystick. This is a project that we wanted to do as a nice tutorial on how to make web interface that will operate on small WiFi enabled device. 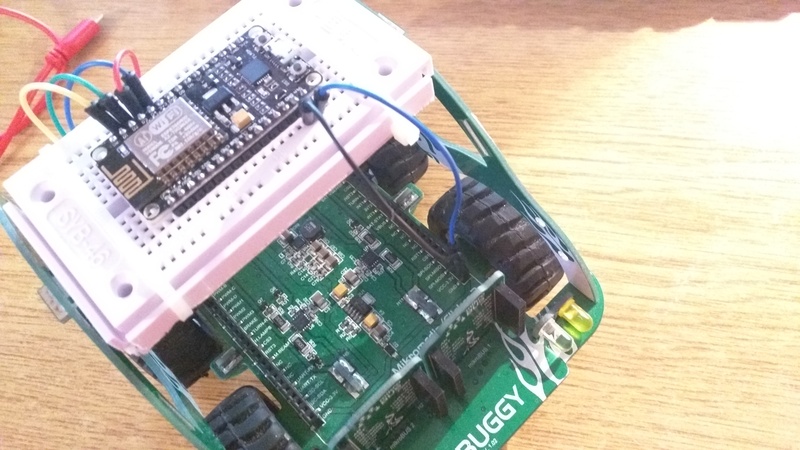 MikroElektronika offers a lot of boards and possibilities to operate their MIKROE-1670 Buggy Development Platform. Here we wanted to use one of our favorite platforms NodeMCU. Idea is to make a simple web server that will provide and driving interface from a web browser of your smartphone. Idea for the web interface is usage of HTML5 canvas that will display gradient pattern. We want to maximize UI size so we use screen width as a dimension of the canvas. Actual drive is performed by HTTP GET method to the /drive?d=42&t=42 where we pass two parameters d: - direction and t - throttle. Use your thumb to drive. Red means stop. Green means go. Use your thumb to drive. To be able to make easier updated of the code we introduces these constants. Hopefully they are self explanatory. If we move backward we now know it (variable movingForwart) so if we move backward we can reverse throttle to make our PWM calculation little bit easier. Also we want to make sure that breaking is easy enough so we introduced certain thresholds where we keep buggy stand still. We calculate PWM signal with map and constrain functions to make thumb (joystick) movements easier. For turning we will just turn off left or right wheels. We also have threshold here to make it easier to move straight. We need to add some sensors to try to prevent collision (hitting walls and people) and we will do that in future. Until then, please drive carefully!